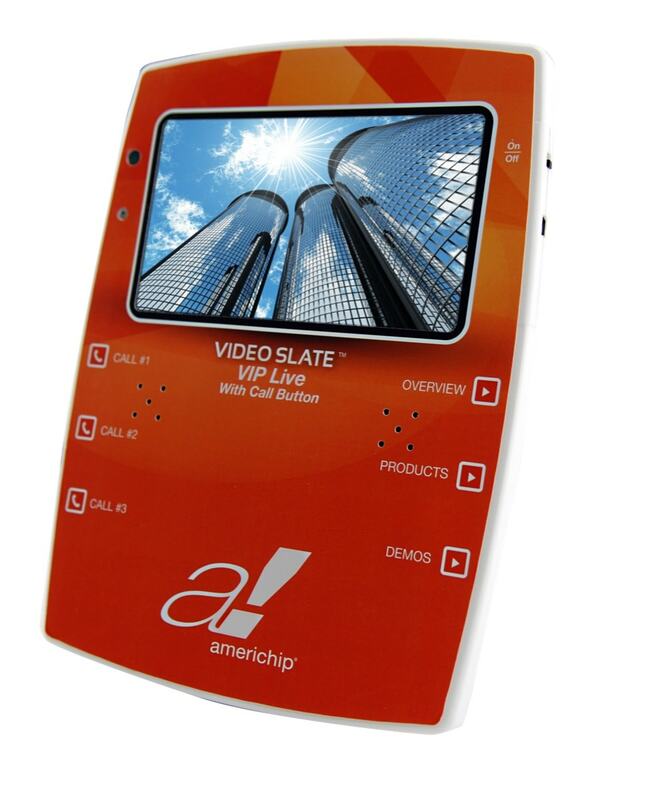 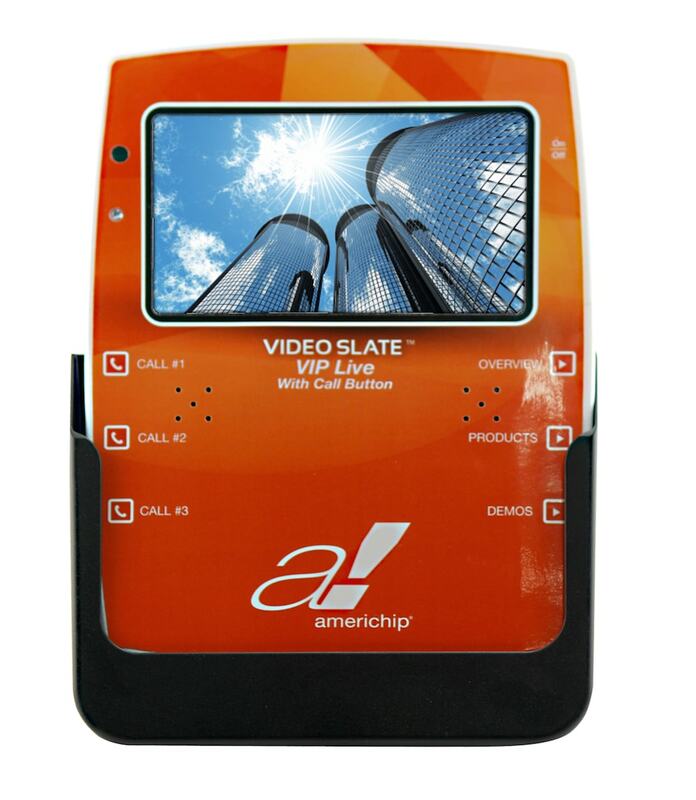 With Americhip’s Video Slate with Call or Text Feature, customers can call or text up to 3 pre-programmed numbers. 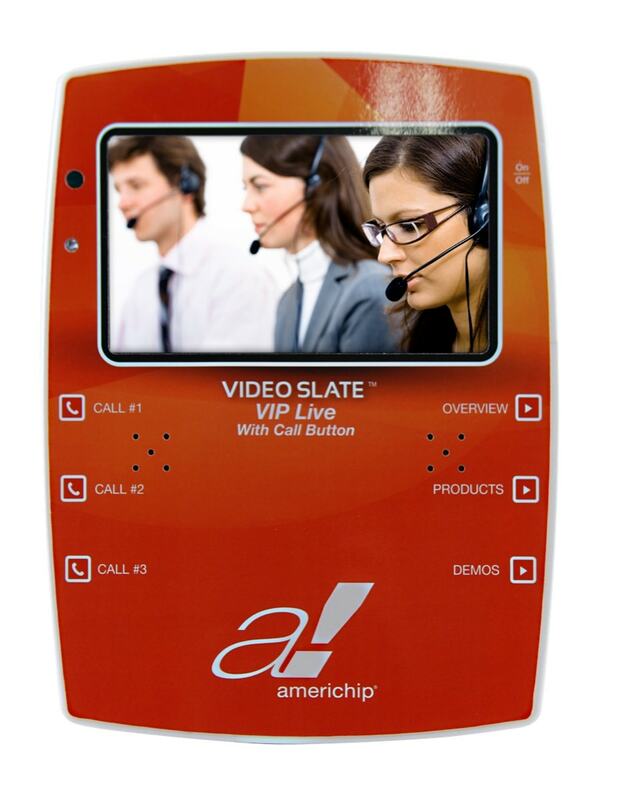 Americhip’s Video Slate™ with Call Button allows you to communicate critical product, training and equipment information directly to your target audience and to provide a direct portal for each customer through our proprietary Call Button feature. 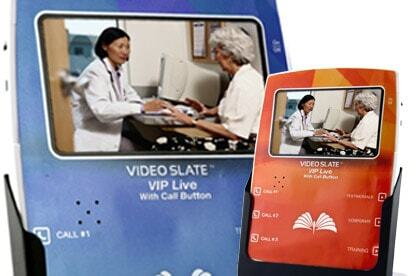 The rugged design and self charging docking station allow you to deploy the Video Slate™ in the field for up to a year and to easily update the content as often as needed.